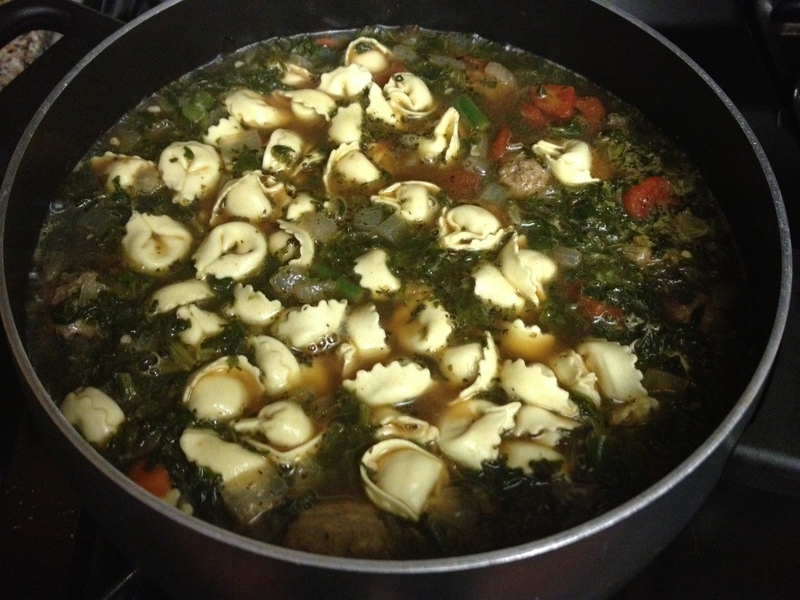 Oct 18 – Meatball Tortellini Soup – Trees & Flowers & Birds! 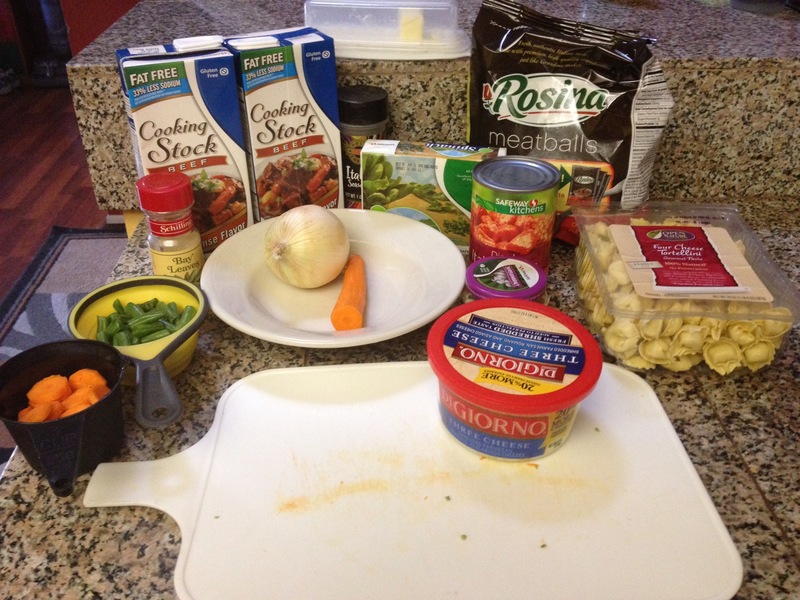 Another recurring theme when I commit to daily posts – recipes! I did adapt this a little. For one, I hate buying vegetables more than I need unless I have another recipe on hand to make with the unused portion. 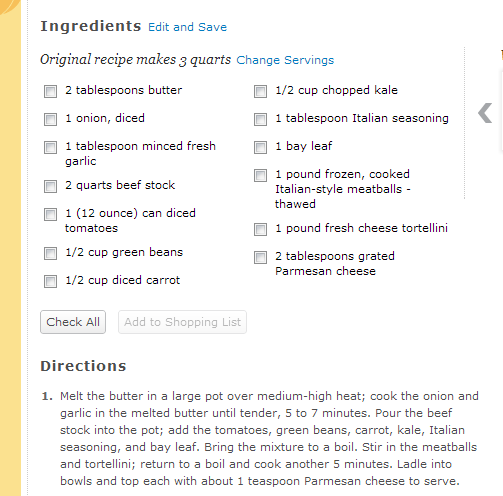 So, I substituted spinach instead of kale which is actually closer to the original recipe I had in mind. Plus, I already had a pack of frozen spinach on hand. I thawed that along with the meatballs. This is a bit more effort than I normally make on a week night, but it wasn’t so bad. Obligatory photo of assembled ingredients. Yes, I forgot until I had already started chopping veggies – whatever! I wanted the first step to last forever – it smells so damn good! 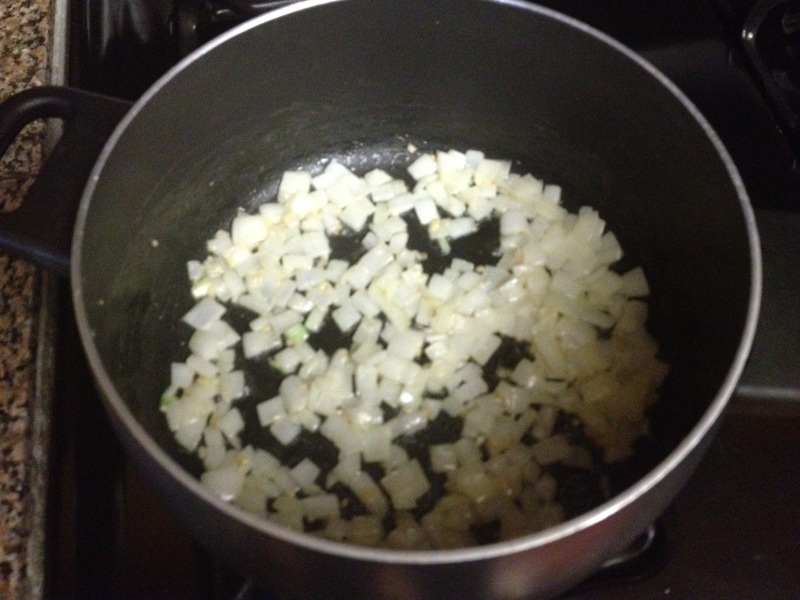 Any recipe that starts with “sautee onions & garlic in melted butter” is a winner in my book. After that it is basically just a matter of dumping in everything except the meatballs and tortellini and bringing it to a boil. I cleaned up while that was happening because well..everyone knows a watched pot never boils, plus, there is no way I have the patience to stand there! Boiling – see the bubbles on the edge – mmmmmm. That’s it! It is a very very filling soup. It’s tempting to serve with bread but it really doesn’t need it and would just be almost too much. Yes, it’s a lot of food even feeding all three of us, but it’s a fabulous leftover and I will be bringing it in for lunch tomorrow. It’s also really really GOOD and savory and a hit with everyone in the house. Maybe I shouldn’t automatically count on those leftovers….